After a huge keynote yesterday, Apple has shifted the focus to its third-party developers at the Apple Design Awards for 2011. Once again both iOS and Mac apps are eligible to enter, a reversal of 2010’s decision to exclude the Mac from the ADAs. 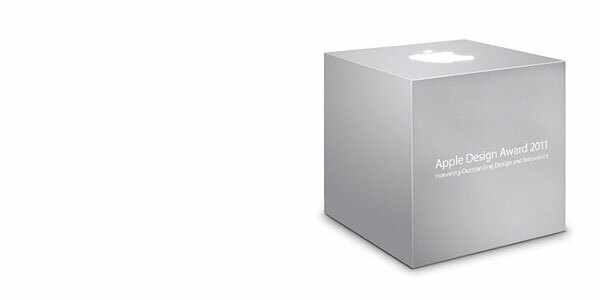 This years winners will get a pretty sweet bundle: a MacBook Air, iPad 2, iPod touch and a trophy in the shape of the ADA cube. Here’s a list of this year’s winners, divided by category. Who did you think should have won but missed out? I personally couldn’t say any of the winners didn’t deserve the award, but were you surprised that any of them did? Let us know in the comments.